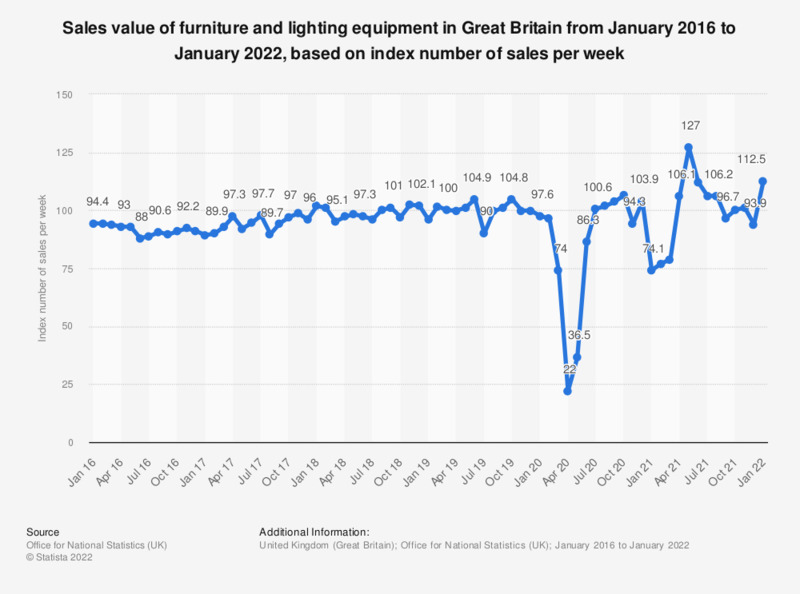 This statistic shows the monthly trend in the amount spent (sales value) on furniture and lighting equipment in household goods stores in Great Britain from January 2016 to August 2018. During this period, the retail sales value in this sector generally increased, reaching its highest peak in August 2018, at an indexed level of 113.2. * Value of sales at current prices, seasonally adjusted. Figures are for sales of furniture, lighting and similar equipment made in household goods stores.